BMI is bringing back two of its popular events for 2015: the Key West Songwriters Festival and the Road To Bonnaroo competition. 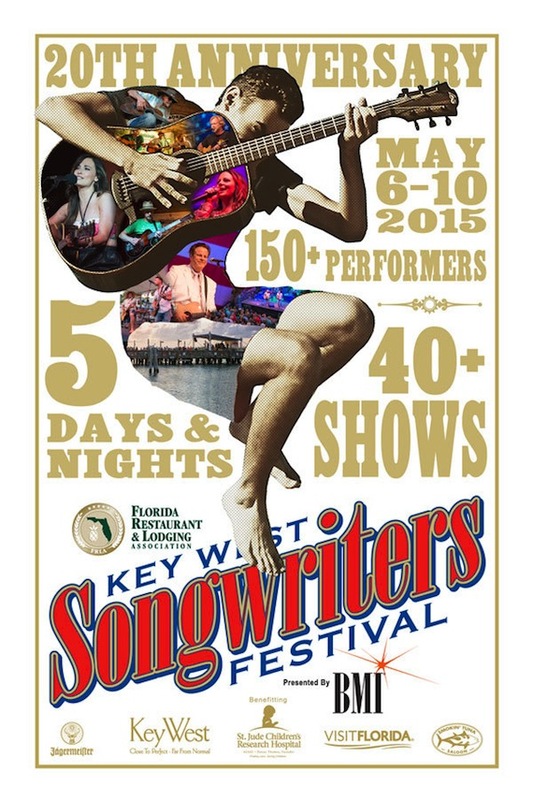 The Florida Restaurant and Lodging Association’s Key West Songwriters Festival, presented by BMI, will be held May 6-10, 2015. The impressive list of performers at the 20th annual event includes headliners Chris Young, Robert Earl Keen, Dean Dillon, Jeffrey Steele, Kacey Musgraves, Rhett Akins, Bob DiPiero, Lee Thomas Miller, Raul Malo, Al Anderson, Pat MacLaughlin, Shawn Camp, Lori McKenna, Liz Rose, James Slater, Even Stevens, Steve Bogard, Steve McEwan, Guthrie Trapp and the Mulekickers, Chuck Cannon, Loving Mary, Josh Dorr, Dylan Altman Blues Band, Kostas, Aaron Watson and many more. The festival will kick off with a concert on Ocean Key Resort’s Sunset Pier, followed by daily stages at the Southernmost Hotel Collection, sunset shows on Pier House Resort’s beach and The Westin, Main Stage Duval Street Concert featuring Chris Young, and rounded out with a closing concert at the historic Casa Marina Resort. In addition, NSAI will present a special Bluebird at Blue Heaven show on Thursday, May 7. Select shows require separate tickets. Proceeds from the festival will benefit St. Jude Children’s Research Hospital. Sponsors include SunTrust Bank, Texas Roadhouse, HD Radio, Epiphone, and Texas Heritage Songwriters Association. BMI’s Road to Bonnaroo 2015 will let 30 local standouts vie for three performance slots at Bonnaroo. The event will take over the Mercy Lounge and High Watt on three upcoming Mondays in Nashville: February 23, March 9, and April 6. The lineup slated for Feb. 23 is DeRobert & The Half Truths, Koa, Sol Cat, Elise Davis, Liz Cooper & The Stampede, Tesla Rossa, The Future, Sexx, The Trinity Schill Kill, and The Wans. Doors open each night at 7 p.m., the music starts at 8 p.m., and there’s never a cover charge. RTB 2015 will follow the rules established in previous years: ten bands will perform three-song sets during each installment of the series. To select the evening’s top contender, an industry panel comprised of local music journalists, bloggers, 8 off 8th hosts, and past RTB winners will contribute one half of the verdict, while fan votes through onsite ballots determine the other half. 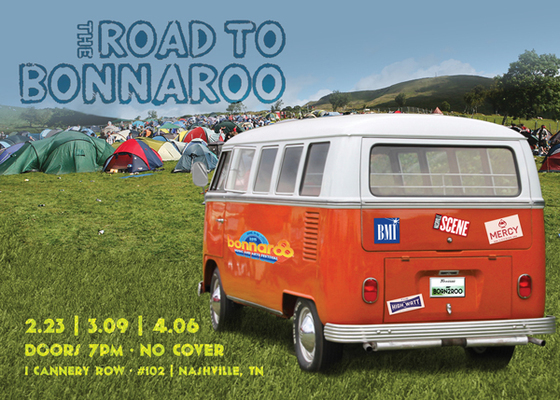 RTB was Nashville’s first collective effort to send homegrown talent to ‘Roo when it debuted seven years ago. Bonnaroo is slated for June 11-14 in Manchester, Tenn.